NO SCHOOL Until May 4, 2019. That’s right. Chinese school will be closed for the remainder of April with classes resuming on May 4, 2019. So please enjoy Spring Break and we will see you in May. Please Join us in the Auditorium at 9am for our very special meet the candidates Town Hall. We have a full slate of candidates of parents willing to serve on the board for the 2019-2020 school year. This is a great opportunity to get to know the future leadership of the school as the candidates will be introducing themselves to our parents. It is only because of these committed parents that our school can continue providing this great education. The voting will commence immediately following the Town Hall. Donuts and Coffee will be served. Polls open 8:45am - 11:30 am. Additional information regarding the candidates will be sent as election approaches. Our annual camping trip will take place at the Oso Group Campground in theSan Bernadino Mountains on May 24-27. A camping information meeting will take place immediately after the Meet the Candidates Town Hall. Please see the camping flyer for more information. We are excited to see you this Saturday, Veteran’s Day weekend. We have three special upcoming events that I wanted to highlight. Please see below. The westside Chinese school has a tradition of a very unique concert that is performed by our students, parents, teachers, and professional musicians. The music style ranges from western classic to oriental traditions, instruments to singings. Please see the following links for the previous concerts. We are now accepting applications for the 2019 spring concert. If your children, and/or YOU, are interested in performing at the concert, please fill out the attached application form and send to the concert committee (see below). If you know of any musician who would be a good addition to our concert, let us know too. We are also looking for concert committee members and donors. All are invited!!! There will be an informational meeting on November 10 at 11:00 AM in the office (rm 33). Please come to the meeting for Q&A about the concert performance or to join our concert planning! Veronique Lin, MA, AMF, is presenting an informative and thoughtful seminar discussing culture, adolescents and school performance. Veronique Lin is a former Westside Chinese School student and grew up in the Westside. Please come support our former alumna and learn insights about how we can support our children’s growth and success. We are bringing to your attention a video contest which is being implemented by the Los Angeles County Department of Mental Health in partnership with Rocco Chen & Associates. If you are interested in participating in the contest, please see the informational flyer below. Please note that youth 15-25 years of age are eligible to participate in this contest even though the flyer says 18-25. 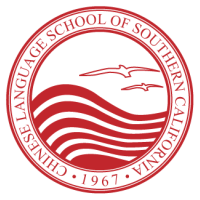 Nondiscriminatory Policy: The Chinese Language School of Southern California admits students of any race, color, and national or ethnic origin.